Lazaro is the world famous brand for bridal gowns.This brand was come into being in 1994. The brand produced all gowns & bridal wear dresses in USA. This brand is so much famous all over the world. The brand offer women gowns, bridal dresses, slim bridal dresses and much more. 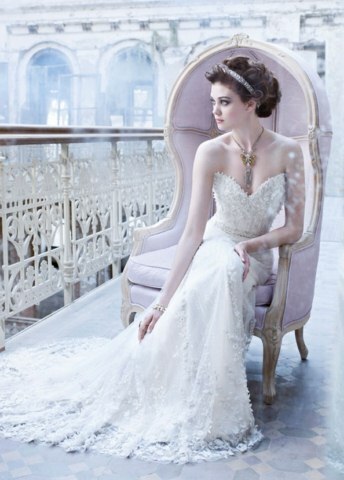 Glamorous and vintage styling on dramatic silhouettes are Designed by Lazaro. JLM Couture, Inc. is a multi-label bridal house engaged in the design, manufacture and distribution of bridal and bridesmaids gowns. Holding company for Alvina Valenta, Jim Hjelm, Jim Hjelm Blush, Jim Hjelm Occasions, Lazaro, and Tara Keely. All gowns crafted in the USA. 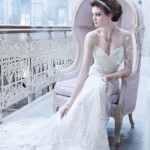 Let’s see below some images of Lazaro luxury bridal gowns collection 2013-14.